The Secret of the Most Distinguished Naqshbandi Sufi Way (Tarikati Naqshbandiyyathil Aliyya)-Sohbet of Mawlana Shaykh Nazim Al-Haqqani(Q.S) Sulthanul Awliya of this time. Our way is through association and goodness is in the gathering.This is the principle in the Tarikatil Aliyya. The purpose of the association is to educate the mureeds.It is not by the stick, no. The Shaykhs, Bismillahi Rahmani Raheem,are of two types. There are some of the who are educators and some of them who are leaders. But the Shaykh of Tarbiyya/educator is much more higher in greatness and power. They know the way, without them they can’t reach and may be mislead themselves and others too!. This exalted tarika need a perfect trainer.To be able to lead the servants of the Lord to the way of Truth. Their number has decreased in these times!. This means that their appearance is forbidden among the people. They can’t show themselves unless there is permission. They have to have permission to teach and to speak about the hidden matters, general and obvious matters in the tarikatul Aliyya. We are living in this time.Bismillahi Rahmani Raheem, there are 41 tarikas (Sufi Ways) of which 40 of them have closed doors and only one tarikat is open. That is Tarikatu Naqshbandiyyathil Aliyya. If the Imams of the other Tariqas come, they must ask to be spiritually trained, to be completed by a perfect Shaykh in the Tarikatu Naqshbandiyyathil Aliyya, the exalted Naqshbandi Way. They must know this,if not they will remain at their level. Mawlana Shaykh, Sulthanul Awliya, whose name is mentioned in the Golden Chain of the Tarikatul Aliyya. He was the last one who carried the greatest secret of the Tarikatu Naqshbandiyyathil Aliyya. He left us and in his place he left someone to continue the tarikatul Awliyya. All the other Tarikas (Sufi Ways) are closed. You understand?, they are closed.They were going downhill, now it is time to go uphill, but they have no power to go up ,except the Naqshbandi Way. They must know this Jama’ath, the shadili and the other tarikas know this, that in our time now the power of locomotive (the power of spiritual guidance and support-tarbiyath) is with Naqshbandi Way, no one else!. They must know and seek spiritual training. There is no one between east and west either in Shadili way or in other tariqas fit for this matter, because they have reached this point, they have no power left with them (to train the followers to the shaykh-hood and saint hood), they are sitting down, only eating drinking and rejoicing in some Circles of zikr and saying that they are Shadili or Qadiri or Rifai’i or one of the 41 Tariqas. They like to be in this manner, thinking to reach what we reach, but they cannot reach except with a locomotive. They found an easy way to walk, but if it’s like this one going uphill ,what do we do?. Sit here until a locomotive (a powerful supporter/Shaykh of Tarbiyyath) comes or to move them& carry them. Otherwise it is not possible, They say: “come to us”, we may go to any meetings from any of the tariqas (Sufi ways). They like to sit and make Zikr enjoying the invitation and to claim that their Shaykh was this and and that. Yes, your Shaykh was like this, but you are not in his foot steps. They became like pressed grapes, they became immersed in this world. We are in a time where there are very few men; there are no more true men left and all the saints have disappeared. This is what they say,the saints disappeared, they are not appearing. Thease Jamath they speak but they do not have the secret; the secret of the tarika they do not have it. If the way is easy to walk, when the time comes, like now, to go up, what do you call it?- the shift stick (i.e the gear box like to accelerate the movement to high levels) . I used to sit next to the driver may be for 60 years i never know when they put the gear to first shift, second shift or third.These Jamaths are like that, they do not have a driver, each one tries for himself for what? With which shaykh did you continue your training? which one of them have permission? They love, but they love their Tariqa more than the Tariqatul Aliyya. They remain there. Let them enjoy what they have learnt&finish. But there is no engine that moves for them from east to west. It is obvious that our Naqshbandi Golden Chain ended with Mawlana Sultanul Awliya Shaykh Abdullah Faiz Dagestani (Q.S). The matter needs seriousness and who put effort and gains. Everything their egos like they give to their ego!. Then they claim we are in this Tarika. Not, it is not this way, you are like someone who are going out for a picnic (coming to the way of tarika sometimes) and leaving the adab of tarikat other time!. Let them, let one them claim that he is a spiritual trainer. He would like to sit with them,we do not mind. He may give, but they, these Jama’ats (groups) cannot give anything to him. If they take any benefit from him, they are very fortunate, otherwise if he attends with them and they gain nothing, they wasted time. Shaykh, there are no more Shaykhs. The Saints have disappeared. All the true Shaykhs are the Saints of Allah Almighty Exalted. And they do not need to show themselves and to call people to come to them, no. To visit with brothers and to be together is permitted. no need to stop that. If he likes to visit them, visit them. But if they want to give him (Naqshbandi follower), he (naqshbandi follower) has gold, while they have copper or tin!. While he(Naqshbandi follower) has gold and diamonds, they have copper or tin. This is a delicate point. And the saints have disappeared. our Shaykh used to say there are 40 in Damascus. Shaykh Effendi when he was on the way to Umawi Mosque through the Suq Al Hamidiyya they were coming and Shaykh Effendi from the other direction, they used to change direction. 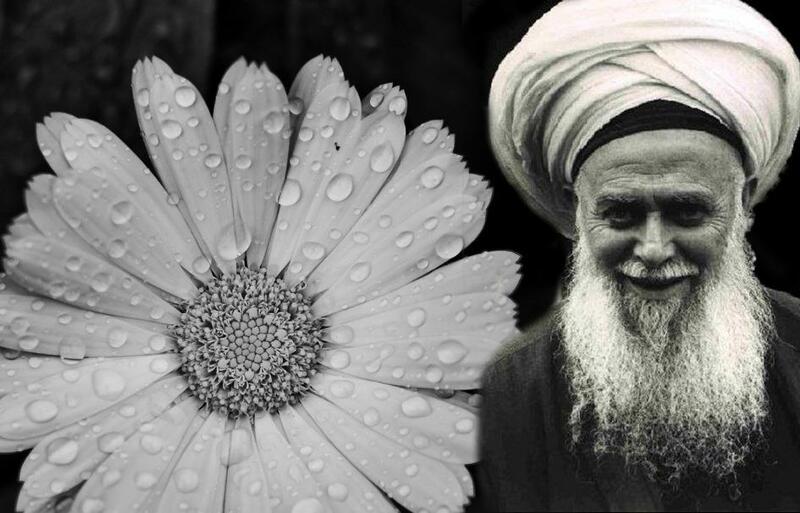 They used to fear him, but Shaykh Effendi never affected at all. He was filled fully with True Knowledge. He was not in need, the Saints of Allah are like this. They do not like that their spiritual states to be revealed, never. There is no permission. 40 of them go to Umawi mosque daily some of them sit half an hour, some of the sit one hour, the rest 20 minutes at Sayyiduna Yahya alaihissalam. On our Prophet Salat and Salams. When they said he disappeared, he disappeared, don’t ask about him. Don’t ask about him. Because you do not have the balance to know him,no. Keep your manner with everyone, so no one can get hold of you. May Allah keep us on the way of Truth (HAQQ). Because we do not want this world. Its finished!. This world is a carcass and those who ask for it are dogs. We have 1000s of followers. Look, you are a servant and I am a servant (of Allah).There is no more than this. If there is training in good manners, take from everyone, we do not mind but , if there is not, then do not waste time. Do not run away from them, if they ask your or love you to attend with them. Bring them something which make them happy , we do not mind.We do not forbid any person. Previous Post A Warning against CIFIA,Hyderabad,India.